I stayed a few days on Saba in August 2005. Saba is the smallest of the six Caribbean islands belonging to the Kingdom of the Netherlands, with a size of some 13 square kilometers and a population of some 1,500. 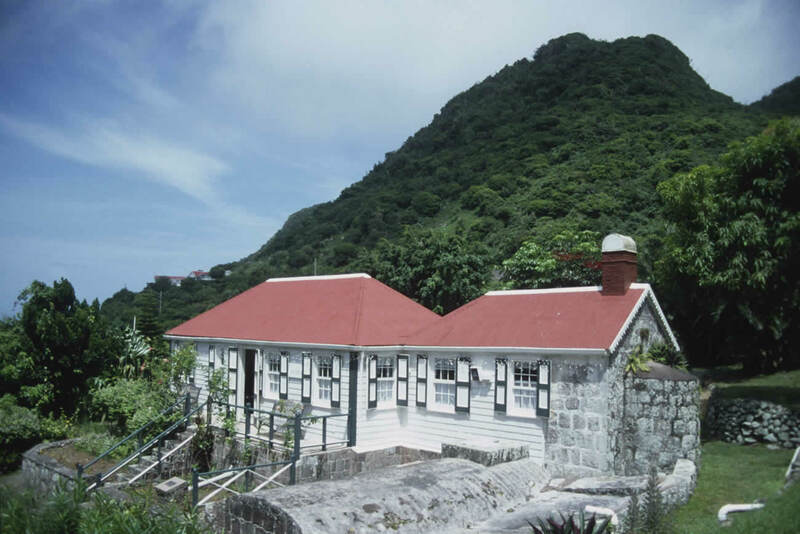 Saba has a tropical climate with temperatures around 27 degrees Centigrade on most days; on the Mount Scenery the temperatures are, of course, some degrees lower. Although it is dry most of the time, there is enough rain to maintain a green landscape. The landscape is dominated by the volcano of Mount Scenery, being 877 meters high. The rest of the island has some smaller tops and everywhere we found steep slopes. There is only one road, simply called "The Road" but mountain walkers can enjoy several footpaths. The main actual economic activity is tourism, especially ecotourism, with agriculture and fishing as relatively unimportant supplements. 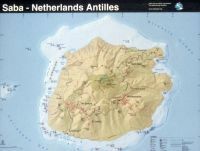 The island has a small airport and a ferry connection with Saint Maarten. Accommodations are available in many price classes. The official tourist website is http://www.sabatourism.com/index.html .